This introductory tour to Kenya’s most beautiful and varied wildlife areas begins on the slopes of Mount Kenya National Park, one of the world’s highest national parks. 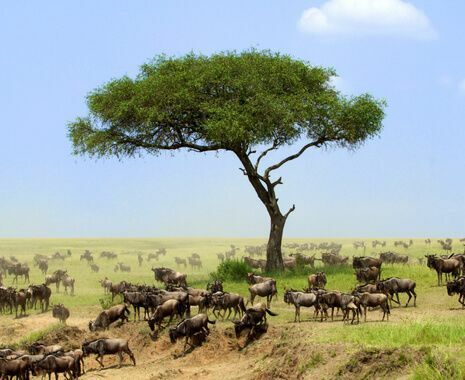 Continue to the Ol Pejeta Conservancy with its ‘Big Five’ wildlife; Lake Elmenteita, where thousands of birds congregate; and the Masai Mara, where you will stay at Mara Serena Safari Lodge, a ringside seat to the annual wildebeest migration between July and October. 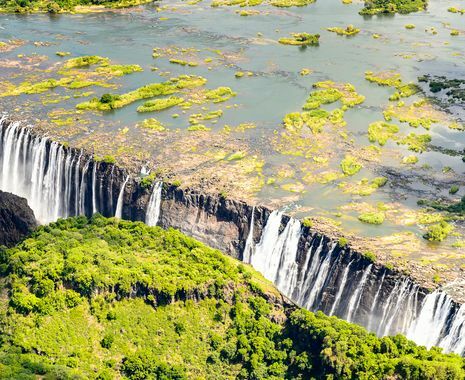 Finish the tour at Victoria Falls in Zimbabwe, the incredible ‘smoke that thunders’. Based on a 7- or 9-seater 4x4 popup roof safari vehicle in which each passenger has a window seat. A 4x4 vehicle will be provided for those taking the tour on a private basis and you will be accompanied by an expert driver-guide.